SWANSEA, Mass. 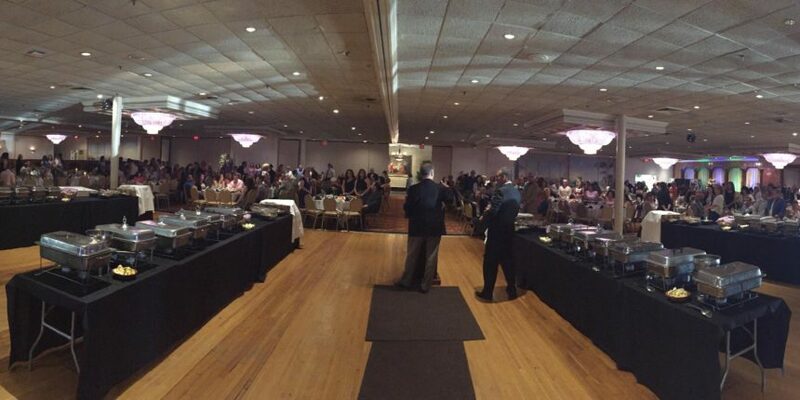 — Southcoast Health honored 1,136 employees with significant service milestones, including 90 employees with 35 or more years of service, at its annual Employee Recognition Banquet Friday night at the Venus de Milo in Swansea. “Your years of service and devotion have helped make Southcoast what it is today — a thriving healthcare system, striving to make the community healthy and keep the community healthy both within our walls and beyond,” said Keith Hovan, President & CEO of Southcoast Health, in an address to employees during the event. Southcoast Health recognizes its employees service milestones at five-year intervals of continuous service based on date of hire. Employees from across the Southcoast Health system, including its three acute-care hospitals — Charlton Memorial Hospital in Fall River, St. Luke’s Hospital in New Bedford and Tobey Hospital in Wareham — and the Visiting Nurse Association (VNA), were honored at the event.